Centro Hispano Marista is a program for adults that opened with the help of the Society of Mary at the Marist School in August 2012. Centro Marista offers adults educational preparation to obtain their GED diploma, so they can pursue higher education, aspire to better jobs, and secure a promising future from themselves and their families. 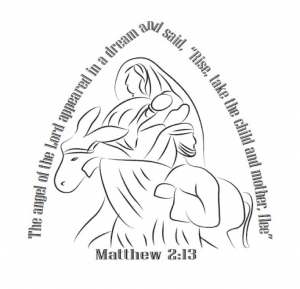 An important aspect of the Centro Hispano Marista mission is to reach out, in the name of Jesus and in the spirit of Mary, His Mother, to those who are forgotten or neglected by society. Since Marist School’s founding in 1901, the Society of Mary has shared its educational mission with thousands of students and their families in the Atlanta area. The Society of Mary takes its inspiration from Mary: the Mother of Jesus and the Mother to all His disciples. Inspired by Her, whose own compassion for the poor was so dramatically on display when she appeared as Our Lady of Guadalupe, Marists believe that through the Society that bears her name, she continues her motherly role in the Church and teaches us the importance of creating a caring and concerned community. In the words of Fr. Jean-Claude Colin, the founder of the Society of Mary, Mary’s example inspires us “to think, judge, feel and act like her in all things.” For this reason, the Marists believe that the Center for Hispanic Young Adult Education and Faith Formation is not only a very much-needed work of the Church; it is truly a work of Mary. Aware of the critical need for education and faith formation among the growing population of Hispanic young adults in the Atlanta area, the Marists identified the needs of this group as clearly meeting the criteria of its mission. In the summer of 2011, Reverend Ted Keating, S.M., Provincial of the Society of Mary U.S. 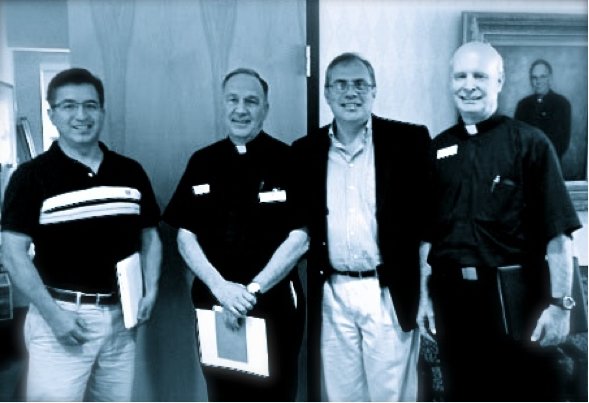 Province, expressed his intention that the Marist Fathers and Brothers make their resources and connections available to promote the education of adult Hispanics and the formation of young adult Hispanic leaders in the Archdiocese of Atlanta. Fr. Keating envisioned that Marist School and Our Lady of the Assumption Parish, staffed by the Marist Fathers, would jointly engage in this effort. Fr. John Harhager, SM, president of Marist School at the time, was called upon to supervise Marist School’s response. Fr. Bill Rowland, SM, was delegated to represent Fr. Harhager and to help coordinate Marist School’s response to this need. Marist parents of alumni, Sal and Mary Ann Arias, and Carlos Vizcaino, who directed the outreach to the Hispanic community at Our Lady of the Assumption, worked together to determine how best to utilize the resources available at Marist School. It was soon apparent that the need for GED certification among the Hispanic young adults was a critical. The Centro Hispano Marista, sponsored by the Society of Mary and hosted at Marist School, became the response to this need and the first classes were offered in the fall of 2012. In May 2015, Mr. Vizcaino and Mrs. and Mr. Arias retired. Dr. Leticia Valencia became the program director. Mrs. Cecilia Phillips and Ms. Megan Mavity joined the team. Mrs. Vicky Gastaldi joined in 2016 when Ms. Mavity got accepted in graduate school.